COMMENT: Third time lucky for Ryanair? On Sunday 27 June 1982 Captain Harry Gee landed a Brymon Airways DHC Dash 7 at Heron Quays in the heart of London’s dilapidated docklands. 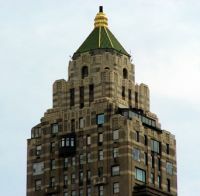 It made the main TV news that evening and national newspapers the following morning. The fact that a 50-seat transport aircraft could land in what is now the heart of the Canary Wharf complex startled everyone. The C series regional jet could be flying by the end of the year according to plane maker Bombardier. 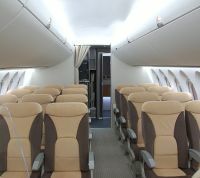 The aircraft has been sized in the 100- to 150-passenger class to compete with the smaller Airbus 320 series and similar Boeings. The company based in Montreal (Canada) says that the maiden flight is on schedule. At the end of the summer season the Madrid base of easyJet is to close. Whilst no details have been published, other than it affects eight aircraft and some 320 cabin and flight deck crew, the operational consequences will be marginal with the airline's capacity at the airport reduced by 20%. Changi Airport is enhancing the experience for transit passengers with a rejuvenated programme for the popular Free Singapore Tour. Transit passengers with a layover of more than five hours can choose either the day or night tour itinerary that best suits their schedule. Mexico City now has an InterContinental hotel. 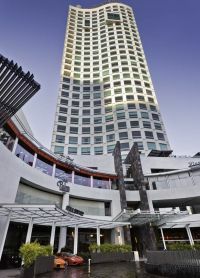 The tallest building in the area, the Presidente InterContinental Santa Fe offers stunning views of the Santa Fe area, the Valley of Mexico and the Popocatepetl and Iztaccihuatl volcanoes. It is about nine miles from the centre of Mexico City. Heathrow is not the only major European airport having difficulties with expansion plans. With Frankfurt in disarray over night flight arrangements (see issue 9 April) and Berlin’s Brandenburg currently in limbo (issue 21 May), Munich’s local residents have voted by nearly 55% against a planned third runway. The decision will be seen as a blow to those airlines looking to expand their German networks. Are you getting the email BTNews on a Monday? Michael O’Leary will say that the 76m sector passengers who fly with Ryanair prove that the pseudo Dublin-based carrier (its largest operation is at Stansted) is all the rage, but as with much of the utterings of the Irish deity this is completely exaggerated. Firstly these are return passengers and secondly he claims that on average people fly on Ryanair five times per year. That comes down to seven million individuals annually flown by the airline, one tenth of the preposterous claim. BTNews believes that Ryanair has done a great deal of good in shaking up an industry that was not lethargic, but was indolent. Sadly, as far as his airline is concerned, he has lowered the tone of the product. In 2012 the cost of travelling on Ryanair is usually more than a competitor. He only really succeeds where for one reason or another Ryanair is solo on the route. Given the choice most would not fly Ryanair. Which brings us round to the latest (third time lucky?) Ryanair bid for Aer Lingus. Unlike all the analysts and city speculators BTNews thinks that it might just go through. BTNews does not like monopolies and one would hope for the future that would not happen but Mr O’Leary is very astute and would not have put in the bid without a very good reason. He is not keen on spending money either. Dealing with lawyers and city brokers can be very expensive. If Ryanair were to take over Aer Lingus he could sell the Heathrow slots and possibly turn the former state carrier into a low-cost North Atlantic operation from Stansted, and for the first time offer connectivity with his UK and mainland Europe operations. He would be an Airbus operator, and be in a predatory position to grab discounted line positions should Airbus or Boeing customers default or cancel. With regard to the Competition Commission and its European parent a precedent has already been set with the British Airways take-over of bmi. Routes would clearly come under scrutiny but there are other airlines who might wish to challenge on the UK – Ireland sectors. Aer Arann currently is in bed with Aer Lingus on certain code-shares but these could very easily be dropped, and with an expansion larger aircraft introduced into the fleet. The successful Stobart Group has a financial interest in Aer Arann. The competition people do not always get it right. People in the West Country will tell you that in spite of objections Flybe was allowed to compete on the Gatwick – Plymouth route resulting not just in the demise of Air Southwest, but the closure of Plymouth City Airport and its ramifications for that city. Maybe O’Leary’s bid for Aer Lingus was too low? The Board of the airline seemed to think so. Shareholders, the Irish Goverment and Etihad, have said nothing, but he can increase the offer. Money talks. Interesting times. On 11 July 2012 a brand new Virgin Atlantic A330 aircraft will depart Heathrow to Delhi. It will introduce part of a £100m investment programme designed to beat the best offered by its competition. 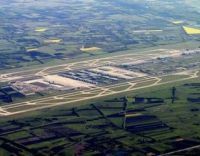 The first phase of development plans, which will ultimately enable Bristol Airport to handle 10m passengers a year, was officially opened by Justine Greening MP, the Secretary of State for Transport, last Friday (22 June). She inaugurated three new aircraft stands, the first of more than 30 separate projects which will enable growth over the next decade. Following last week’s Business Travel News report, Transport for London (TfL) has confirmed that Emirates Air Line opens to the public from midday on Thursday 28 June. 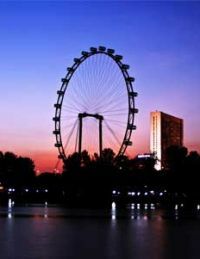 The 1,000 yards long cable car river crossing will operate seven days a week, from 07:00 to 21:00 Mondays to Fridays, 08:00 to 21:00 on Saturdays and 09:00 to 21:00 on Sundays. 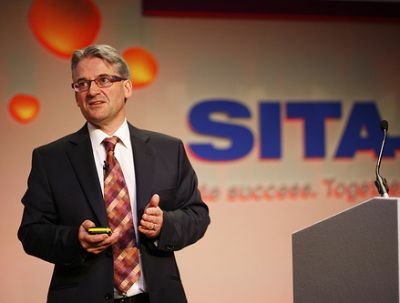 Called “Adapting airports to the future needs of business travel” and outlined by the airport's Chief Commercial Officer, Guy Stephenson, the 60-slide presentation (including much adornment) takes the reader through the history of business travel and Gatwick’s views for the future. The takeover of Brazil’s TAM by Chile’s LAN was completed last week, the new combined carrier now called LATAM Airlines. It creates the world's second-largest airline by market value in a deal that executives expect to yield up to US$700m in annual cost savings within four years. Following the demise of bmiBaby the shake-up of air services to and from Northern Ireland continues with easyJet now claiming to be the six counties' largest airline. The Luton-based carrier is due to introduce extra flights from Belfast International Airport on routes including Edinburgh, London and Manchester from the start of the winter season. Hilton has moved into Wembley, a name associated with the famous stadium which can trace its history back to 1923 and the Empire Exhibition. The 279-room Rosewood Beijing will open Summer 2013 as the first Chinese property for the luxury hotel group. The property is located in the central business Chaoyang District, opposite the iconic CCTV Tower. 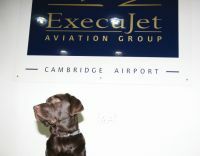 ExecuJet has launched what is claimed to be the UK’s first free travel service for pets at Cambridge Airport. The complimentary pet handling service will enable domestic cats and dogs to travel internationally, without quarantine and overseas vet inspection. 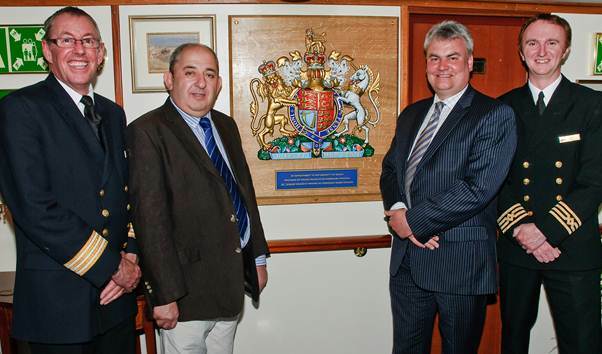 ExecuJet and Cambridge Airport are now approved by the Department for Environment, Food and Rural Affairs (DEFRA) for the UK’s Pet Travel Scheme (PETS). 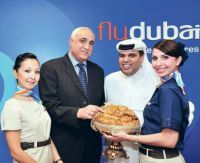 Middle East low-cost carrier Flydubai is to further grow its network in Central and Eastern Europe with new direct services from Dubai to Bucharest in Romania (from 1 October) and Skopje in the Republic of Macedonia (18 October). Dunstable is not the most alluring of the more distant London suburbs, and could be termed ancillary to Luton. 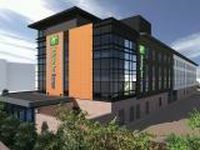 New for the town is a purpose-built 3-star Holiday Inn Express actually on the old A5 and close by Junction 9 of the M1. 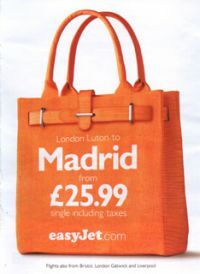 Luton Airport is seven miles away. Boris Johnson seems to be ambivalent towards the answer to the London airport problem according to media reports. 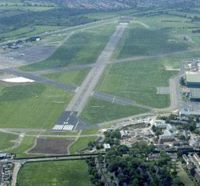 Whilst still keen on the idea of a four-runway operation in the Thames Estuary he now sees a two-runway Stansted as an interim measure. 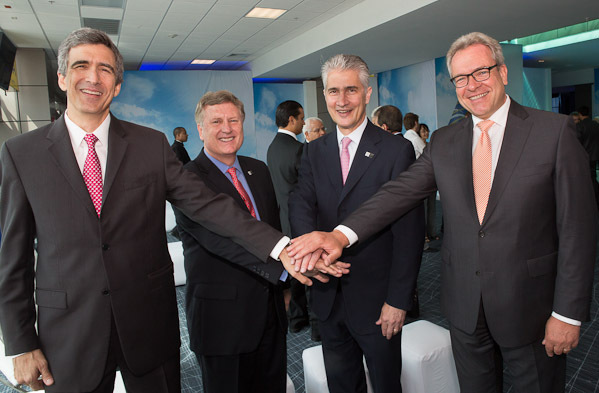 Avianca (Columbia), TACA Airlines (El Salvador) and Copa Airlines (Panama), three of Latin America’s leading airlines have all joined Star Alliance thereby cementing its presence in Latin America and adding close to 50 new airports to the network. Amsterdam has become the first European destination for United Airlines' reconfigured Boeing 767-300 aircraft. The plane features flat-bed seats in an all-new United BusinessFirst cabin, along with an upgraded inflight entertainment system throughout.